It’s reaching the high 90’s already in Dallas and I’m not ready for it. The one thing that’s getting me by during the week are all of my airy tunics. Since I work in a relatively casual, creative office, I can wear them with white jeans, shorts, etc. 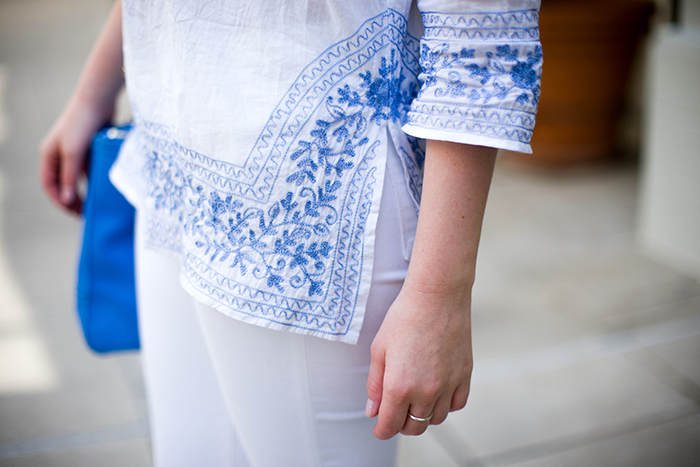 I got this one in Exuma on my trip in March – isn’t the color/embroidery so pretty? 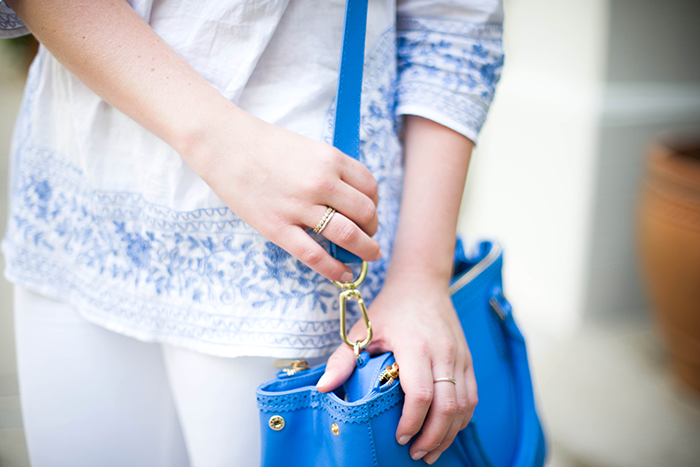 It just so happens it matches my Tory Burch bag perfectly! 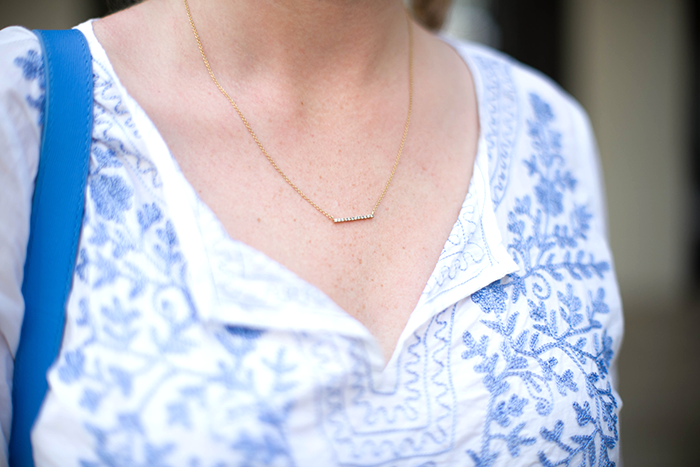 What pieces are you wearing with this hot weather? 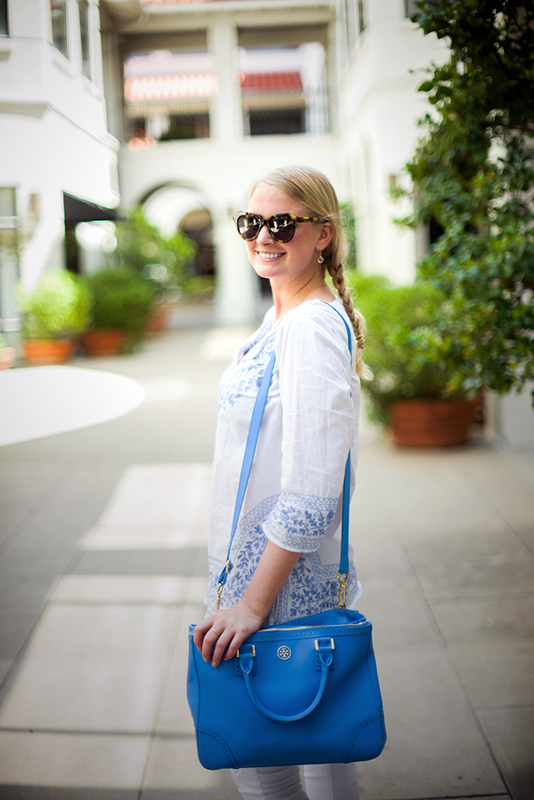 I am obsessed with all things blue & white right now, so I absolutely love this outfit from head to toe! Your tunic is absolutely gorgeous! Very appropriate for the summer. 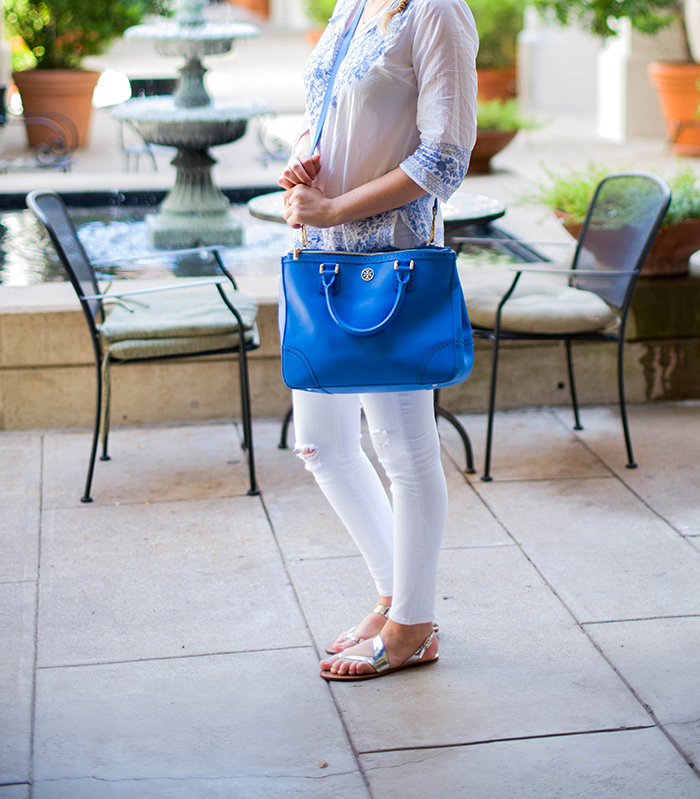 Have this tunic and love love it paired with the white pants!